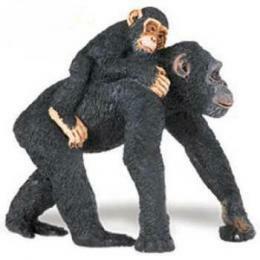 Chimpanzee Toy Mini Good Luck Miniature Chimp is mini animal toys fun from Anwo Animal World. Perfect for school projects, toy animal collections and education this Chimpanzee Chimp Toy Mini Good Luck is a very small 1" high. Shop our Monkey Gifts Store at Animal World® page for additional monkey gift items.